Ikaria is a Greek island situated in the Aegean Sea. The nearest major island to Ikaria is Samos, which is about 13 miles to the west at its nearest point while to the east lie the islands of Mykonos, Tinos and Andros. Named after Ikarus, who flew too close to the sun and plunged into the sea here, the island of Ikaria is around 25 miles long, and five wide. Ikaria has two main ferry terminals, Agios Kirikos on the southern coast and Evdilos on the northern side of the island. Ferries operate from the mainland as well as from a number of ports on the surrounding islands of Samos, Lesbos, the Aegean and Cyclades islands. If you’re travelling from the mainland then Piraeus (Athens), also the hub for onward travel to many of the Greek islands, is the main port of departure and sails daily (in peak periods) to both ports on Ikaria with crossing durations ranging from seven to ten hours. You can also get travel from Kavala in the North east of Greece though crossings take longer and are less frequent. Ikaria has several coastal and mountain roads which offer spectacular drives. In the summer holiday season, daily bus services connect the capital with Therma, Faros, Evdilos, Armenistis and Raches, calling at many small villages along the route. Ikaria is home to some beautiful and picturesque beaches, and one of the most famous on the island is Seychelles beach on the southern coast. Other popular beaches include Yaliskari, Nas, Kampos and Mileopo. Naturally, sailing is a popular activity on the island, and there are many opportunities for day trips, swimming, snorkelling and tours of nearby islands. For visitors interested in the rich and varied history of the island, there are several ancient ruins including the Castle of Koskina, the Temple of Artemis at Nas, and the remains of the Roman baths at Therma. Ikaria also has several museums dedicated to the history of the island and the culture of its inhabitants. These include the Folk and Historical Museum, the Archaeological Museum of Kampos, and museums of folklore at Perdiki and Vrakades. For more information, please visit our Ferries from Dodecanese Islands to Ikaria page. 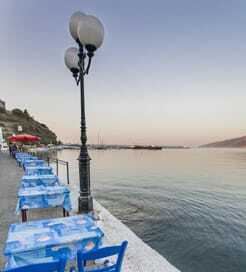 For more information, please visit our Ferries from Greece to Ikaria page. For more information, please visit our Ferries from Lesbos to Ikaria page. 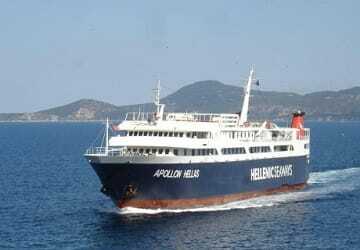 For more information, please visit our Ferries from Athens to Ikaria page.